Check out our online and install based solutions. 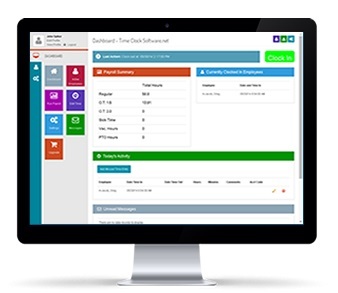 Complete Online Time Clock and Employee Scheduling Software. 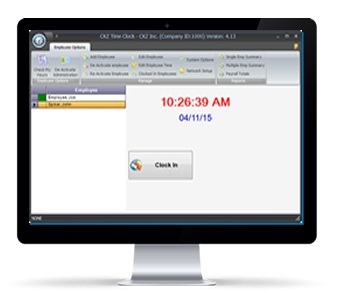 Complete Desktop Based Time Clock Software. The easiest way to manage your employees with the leader in Time Clock Software. Compare our time clock solutions from FREE desktop software to online time clock software solutions.. Whether you are using either our Desktop or Online Time Clock Solution CKZ Time Clock has you covered. No longer will you be spending hours trying to complete payroll. Because our system is web based and designed for all your devices. You can track and manage your employees from anywhere. Your computer at the office or your phone on the go. Whether you have 1 or 1000 employees our system is designed to support your organization and its specific needs. With our Online Edition you can schedule and view when you employees will be on staff and when they are out of the office. Time management is the heart of our system. Your employees can clock out from either, any location or just locations you designate, giving you the power to control your employees time clock. Software is only as good as the company supporting it. We understand that you are not in the business of managing software that is why we are here to help. We offer both email and toll free phone support. Beyond just a time clock you can also track your employees time against specific tasks. Download our FREE edition today and see what CKZ Time Clock can do for you. Try it free for the 30 days, All new accounts get the first 30 days free. Try it Today!